This entry was posted in Books and tagged book review, medical humanities, poetry, Poetry and Medicine, Poetry and Science on 27/03/2017 by michaelwhitworth. The audio file of my seminar paper on science and poetry is now available on SoundCloud; I hope in due course to have it uploaded to iTunesU, at which point I might delete the SoundCloud version. Will Abberley kindly made a video, so if you’d like hear the same thing but with additional hand gestures and a few powerpoint slides, here it is. 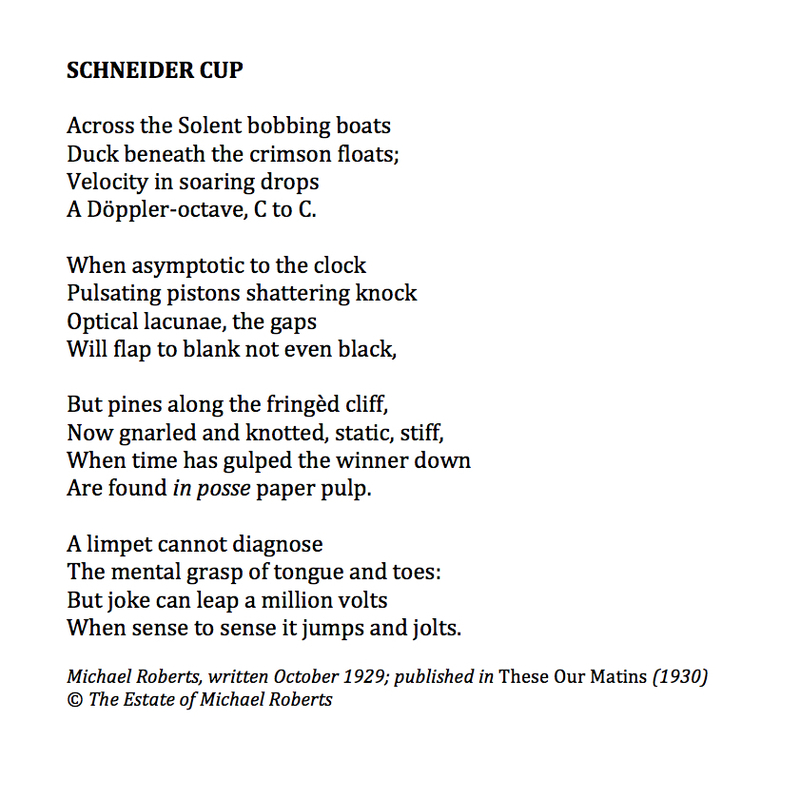 As in the first half I do a close reading of a poem, Michael Roberts’s ‘Schneider Cup’, I’ve reproduced the text here. This entry was posted in Books and tagged lecture, Literature and Science, Michael Roberts, podcast, Poetry and Science, Schneider Cup on 20/11/2014 by michaelwhitworth.